I’ve always loved Valentine’s day celebrations, especially the card part. I’m making Jules a heart garland this year with a secret message in each heart. I also thought these would make a great decoration for a wedding party – maybe to hang on each chair or cover up a bare wall. 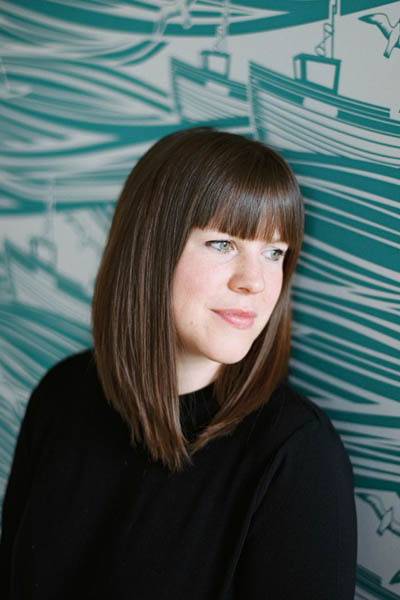 I’ve got a big stash of Liberty print wrapping paper, which I have decided to use (don’t you just love this Betsy print?) 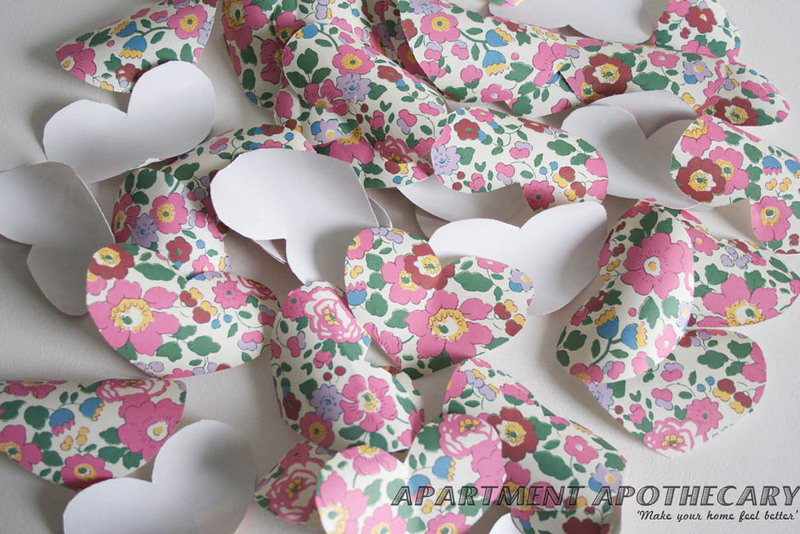 but you can use any paper you like so it’s a really inexpensive decoration. 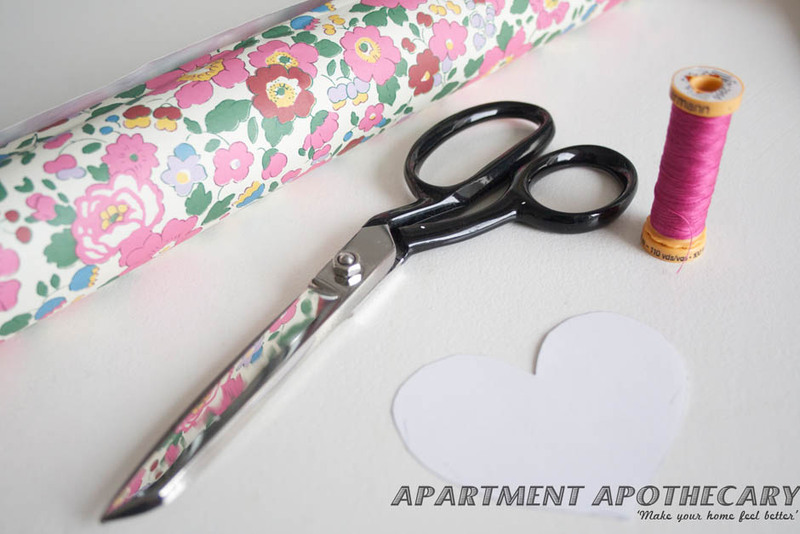 Pretty wrapping paper, scissors, heart template (I drew my own – just make sure it is symmetrical) and a sewing machine. 1. Fold your wrapping paper in half and in half again. 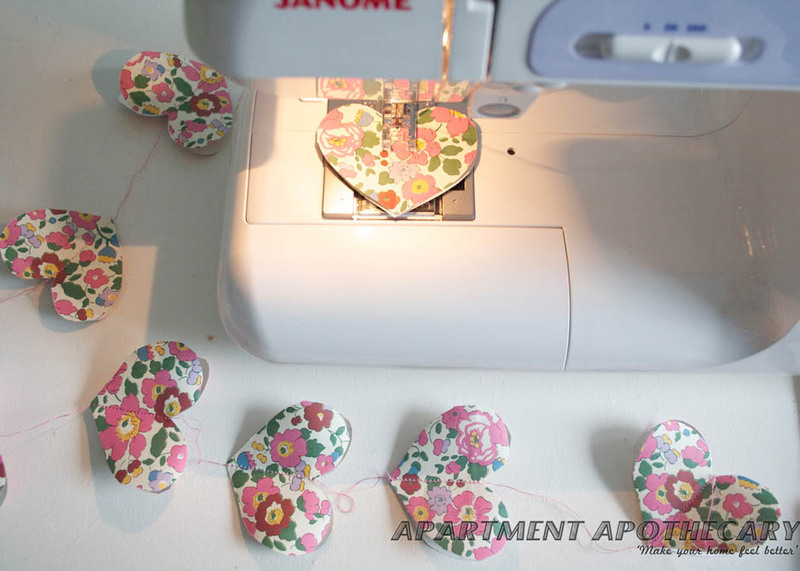 Draw round your heart template as many times as possible (depending on how long you want your garland to be). Cut round each heart so you end up with a big pile of them. 2. 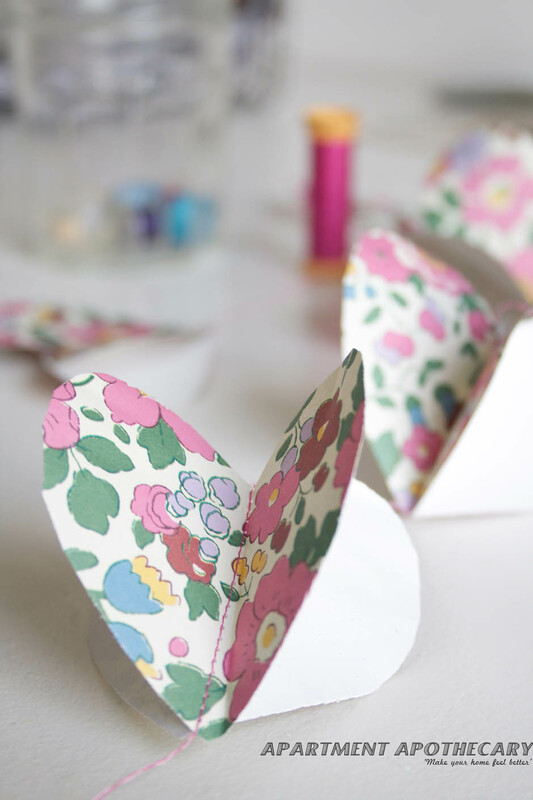 Pair up your hearts and fold them in half creating a crease down the middle. 3. 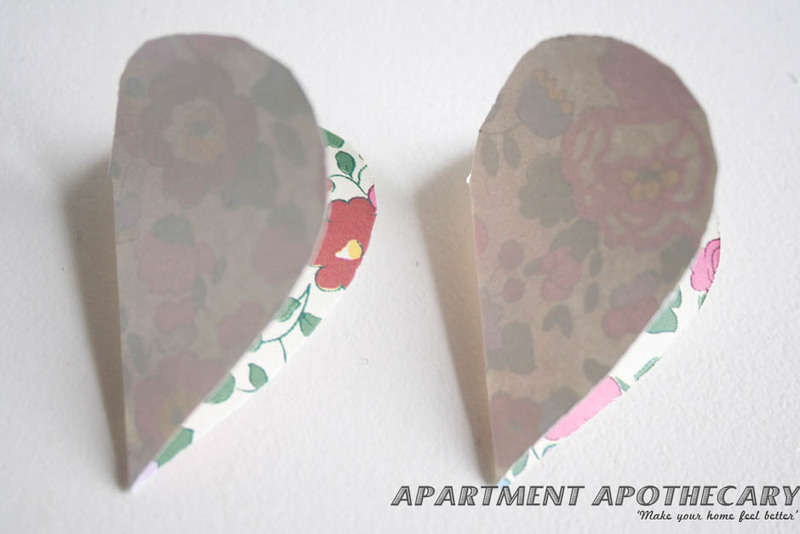 Unfold them and place the two hearts together (wrong sides together). Sew down the middle of the two hearts following the crease you made earlier. When you get to the bottom of the hearts, pull the cotton through the machine until you create your desired gap between each one on the garland. 4. Now fold the hearts away from each other again so that it becomes 3D. All done! Hang them from the ceiling, on the back of a chair or across a window. Previous Post Happy blog birthday!